Like all MS842 series models the MS842P supports all common 1D and 2D barcodes and high-density barcodes with the HD option. With the integrated 2.4G mobility and its ergonomic design the MS842P offers great comfort andfreedom to move around without being disturbed during any scanning tasks. With the ability to scan up to 10m via its USB dongle the MS842P provides flexibility and productivity for users. 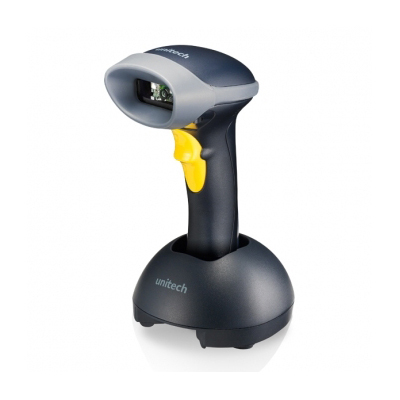 Unitech’s MS842P is a great solution for your short wireless scanning needs such as retail store inventory managementor extended flexibility in warehouse checkout counters. The MS842P stores data in a buffer mode while it is out of range of the wireless signal and uploads this data when it gets back in range. With the seamless integration of a high-performance decoder and scan engine, the MS842P is a great tool to improve productivity for a wide range of markets and applications. No doubt Unitech’s MS84P provides one of the mostefficient scanning solutions in its class.